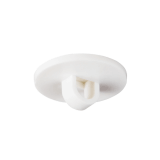 Oval Hanging Buttons designed with a foam adhesive base to instantly stick to your chosen surface. 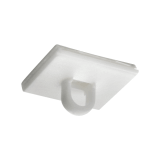 Use the Hanging Buttons to suspend posters, tickets or graphics from your ceiling. 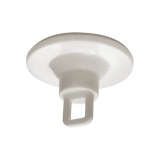 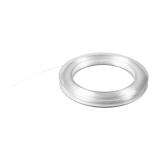 The Buttons are manufactured from white plastic with a hole opening for wire or string suspension. 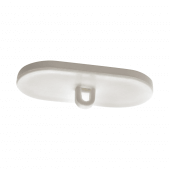 The overall size is 2cm x 4cm and the adhesive Buttons are sold in packs of 100.